Polish Minister of Sports and Tourism Mirosław Drzewiecki and Andrzej Bogucki, Board Member of PL 2012 have met with a visiting trade mission from Saudi Arabia. The visit of potential investors is the result of Minster Drzewiecki’s, Treasury Minister’s Aleksander Grad’s and Prime Minister’s Donald Tusk’s visit to Saudi Arabia last March. 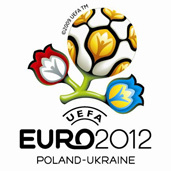 The main subject of the talks were possible investments ahead of the UEFA EURO 2012 Football Championship which will begin in Poland and Ukraine in 1045 days. Andrzej Bogucki of PL 2012, the coordinator of preparatory undertakings for Euro 2012 in Poland, outlined the financing framework for the Championship. ‘A sum of PLN 1 billion is earmarked by the Polish government for airports, PLN 121 billion for accelerating the preparations and PLN 126 billion for road construction. EUR 67 billion comes from the EU. The National Stadium in Warsaw is 100% funded from Poland’s central budget but private contributions are still needed, also in other host-cities’ Bogucki said. ‘The sectors reserved for private investors are: hotel and team base camps construction, telecom and IT. The Master Plan naming all the constructions is available on the PL 2012 website’ he added. Minister Drzewiecki encouraged businessmen from Saudi Arabia to invest in the Stadium City Project. It comprises a housing estate to be built around the National Stadium in Warsaw after 2012. Paweł Pawłowski, Director of the Investors Services Office at the Warsaw City Hall said there were other investment opportunities available in Warsaw within the newly implemented Private-Public Partnership. The idea behind PPP is similar to the concept of Build-Operate-Transfer: a private investor sponsors the construction of a utility, operates it until break-even point and untimately transfers property rights to local authorities. Pawłowski said a solid communal waste treatment plant, bus and tram stops, underground car parks, housing projects, a new hospital and technology park projects will be carried out the soonest. Tenders for some open next week. Yousef Jarmi Al-Owaimer, Chairman of the Saudi Arabia Chambers of Commerce Council and the head of the mission to Poland said that Saudi businessmen were particularly interested in investing in Poland. Although the incentives to invest in Poland are not completely clear, he added.